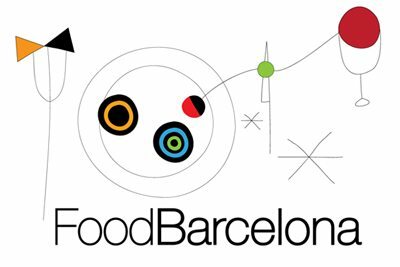 Barcelona food’s not all about creative, competitive chefs and the transient fashions of the contemporary culinary scene. Sometimes you just want lunch. Wherever you live or stay in the city, chances are that somewhere in your local barrio there’s a restaurant that’s always full. It will look like all the bars around it: resolutely non-designer, old-fashioned and — despite the cigarette ban — somehow still redolent of Ducados. The menu will be almost unchanged in decades. The printed menus — if they exist — will be in Catalan and Castilian Spanish only and you’ll never see a tourist anywhere near the place. Despite this, every seat will be full at every lunch sitting and scores of happy locals, blissfully unaware of and uninterested in restaurant reviews or the fickle fads of foodie-ism, will file out full and content every day. Bar Restaurant Ginés (+34 934 365 128, C/ Castillejos, 373). You’d walk right past it, wouldn’t you? But you’d be making a mistake. Although walking in’s not so easy either: book early, if you want a seat. At least the day before, and to boost your chances be sure to tell them you’re prepared to eat early and be out by 3pm so they can get another sitting in. It’s THAT popular. Budding Sherlocks will deduce a major factor in Bar Ginés’s success by turning 180º and looking across the street where you will find Pescaderia Ginés. This fish shop, owned by the same people, is also the most popular in the barrio and supplies the bar. Inside, it’s clean and simple; a typical neighbourhood restaurant. The small open kitchen at the end of the room turns out a selection of simply cooked, immaculately fresh fish and seafood at prices about as low as you can still find in Barcelona. Steamed muscles, €4.60. My wife, who doesn’t like mussels, was as tempted by these as she’s ever been — the smell immediately transports you to a seaside happy place. While I tucked into some grilled razor clams, mopping up the garlicky, salty juices with bread from my local bakery, also directly opposite the restaurant. €6.10. I finished, how could I not, with a carajillo de coñac — espresso with a dash of brandy. There’s no cuina d’autor here. But there is a stream of disappointed people wanting tables being turned away in droves every day. This bar, and others like it, are the gems of everyday Spanish and Catalan food; they enrich the experience of living here and deserve to be celebrated every bit as much as their more sophisticated cousins. Looks good, I’ll check it out. I’m in San Andreu quite often anyway as my cunyat lives there. Thanks for the tip — I just found your blog via twitter today too! I’ll be! My cousin Gines (Sito) and I learned to tap a keg in there in ’67. We watched Neil Armstrong set foot on the Moon in there. The TV used to the right over the front (next to the where they still have the ice cream!!!). Today my oldest cousin, Paco (Francesc) owned it, …. my family used to own the bar, the fish shop, the meat shop, the chicken shop, etc… it all started from my great-great-great grandfather who was a butcher. Over the years some of us migrated to the US, others dided (RIP Sito) and eventually everyone ceded the family’s interests to Paco. I just sent this link to the family in the US… most of them are young punks who grew up in the US… unlike good old me! It’s still going strong, still fully booked every day, still excellent. Great to hear your stories!